There’s more than a little irony attached to the fact that Bob Fazzi’s office has a window that looks out on what was the main gate to the old Northampton State Hospital. Indeed, Fazzi, the Healthcare Hero in the Lifetime Achievement category, has spent his life working diligently to keep individuals out of institutions like the massive mental-health facility that once dominated the Northampton landscape in myriad ways, and make them part of the community — the one word that probably best defines every aspect of Fazzi’s life and work. He was doing such work back when his career was getting started as he joined the organization known as Downey Side, which focused on helping to keep delinquent youths out of juvenile institutions and get them into group homes where many layers of support were available. It was the same when he became the first director of the agency now known as the Center for Human Development. Back then, it was called the Center for the Study of Institutional Alternatives, a name that spoke volumes about its purpose. And it’s the same, although on a different level and scope with Fazzi Associates, the company he started 40 years ago and incorporated in 1995. Its stated mission is to make a real difference in healthcare by strengthening the quality, value, and impact of home care, hospice, and community-based services. Fazzi Associates has been a leader and a pioneer in this sector, developing products and services — including the industry’s first home-health patient-satisfaction services — as well as research to make agencies stronger and better able to serve their patients. The company has grown steadily over the years, so much so that it has had to relocate to larger quarters several times. With the last such move, Fazzi scouted a number of sites, including Tower Square in Springfield, but opted to stay in the community that by then had become home — but in a much different setting. And in a poetic sort of way, that new mailing address, 11 Village Hill Road, just a few hundred yards from where the state hospital’s administration building, ‘Old Main,’ once stood, represents a lifetime of work well done. That’s the term he applied to not only the home-care field, but hospice and the broad human-services spectrum, all touched in one way or another by the company he launched — and the man himself. 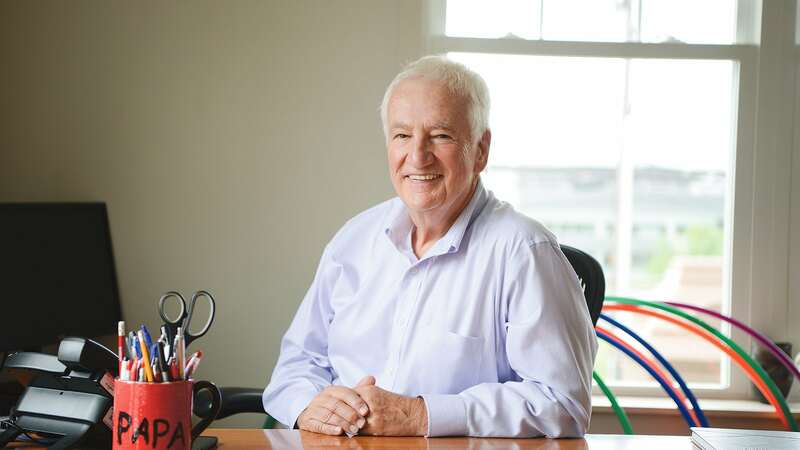 Jim Goodwin, the current president and CEO of CHD, who was hired by Fazzi in the late ’70s, describes him as a tireless advocate for those in need, a true leader, visionary, motivator, consensus builder, and manager who was ahead of his time in many ways. Fazzi, who noted that he was influenced by a number of mentors in his life, including Father Paul Engel, founder of Downey Side, Paul Doherty, one of that agency’s early board members, and many others, said he’s tried to take the values they’ve impressed upon him and pay it forward, if you will, while also becoming a mentor and inspiration to others. This manifests itself in a number of policies, formal and informal, at Fazzi Associates. For example, the firm gives away 10% of its profits every year to nonprofit organizations, and has a policy of giving every employee 16 paid hours to volunteer at any nonprofit health, human-service, or anti-poverty organization. As he talked with BusinessWest, Fazzi was embarking on another new chapter in his life and career. Indeed, after a lengthy search for the right partner, he recently sold the company he founded to Mediware Information Systems Inc., a portfolio company of TPG Capital and a leading supplier of software solutions for healthcare and human-service providers and payers. He will serve in a strategic advisory role with Mediware, and also be one of the founding board members of ElevatingHome, a new organization created to elevate the role, impact, and influence of the home- and community-based healthcare field. 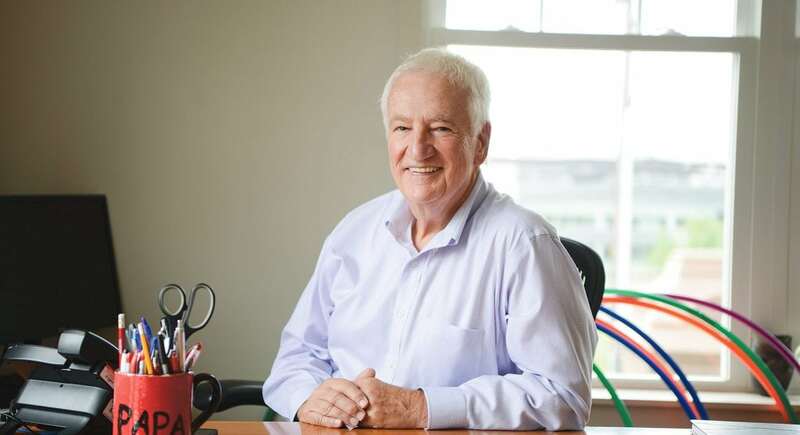 So, while he’s not exactly retiring, he’s moving in that direction, a step that’s providing some anxiety about what comes next, but also a chance to reflect on his work and his career, which he did for BusinessWest. While Fazzi is proud of his mailing address, the team assembled to work there, and its many accomplishments, he’s equally proud of something else: how much mail gets delivered there every day. Indeed, in a community that boasts institutions such as Smith College and Cooley Dickinson Hospital, more pieces are probably delivered to Fazzi Associates than any other location in Northampton. That’s because those home-health patient-satisfaction surveys, among others developed by the company, must be sent there for processing rather than to the specific agency being evaluated. The volume of mail is one qualitative measure of not only how much Fazzi Associates has grown over the years, but also how Fazzi’s career has evolved and touched ever more lives over the decades. And, as noted earlier, Fazzi may not have known early on what direction his life and his career would take, but he did know he would be getting involved with his community in many ways. Bob Fazzi has been described by others as a visionary, motivator, mentor, and manager who was in many ways ahead of his time. 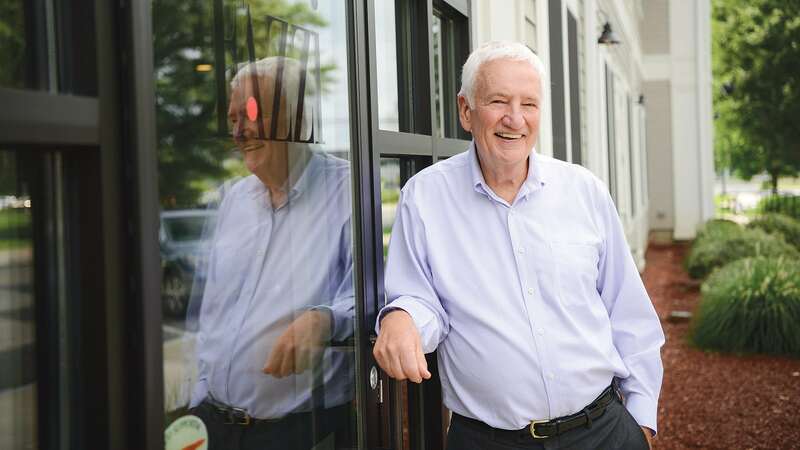 During college, he said he was “lost,” as many people who attended in the late ’60s were, but still managed to get involved with a number of groups and organizations, many with community-minded missions and reasons for being. After college, he had planned on going into AmeriCorps VISTA (Volunteers in Service to America), and thought he had been accepted into that program, but it was so disorganized, as he recalled, that six months later he still wasn’t sure. While waiting to hear from VISTA, Father Engel invited him to get involved with Downey Side, and he did, living in a number of group homes and working as a community organizer. He spent only a few years with the program, but its mission, and Engel’s approach to carrying it out, had an indelible impact on Fazzi’s career track and approach to life itself. Fazzi eventually left Downey Side to be the first director of the Center for the Study of Institutional Alternatives, which was somewhat of a radical concept back then, he noted, although there was plenty of data to back up that basic premise — and data would be the foundation for the work that would dominate the rest of his career. The new center started with one program, something similar to Downey Side’s in that the goal was to help keep young people out of institutions, but its mission quickly expanded, he noted, citing as one example that the families of these young people were often challenged by a host of issues, so programs were developed to assist them. “We found that, in some cases, some of the parents were dealing with severe mental illness; they were up at the state hospital,” he said, referring to the facility in Northampton. “So we began to get involved with the Department of Mental Health. The answer to that question was “in the community,” he went on, adding that what became CHD was a clear leader in the movement to place individuals with behavioral-health issues in residences within the community. And while the concept made sense on many levels, there were many individuals who didn’t want such residences in the neighborhoods. Goodwin remembers some fierce battles with residents in Springfield and West Springfield in particular, and that Fazzi stood his ground and fought hard for those he was working to serve. By the late ’70s, Fazzi knew he wanted to start a new chapter in his career — one that would build on those that came before — and focused on consulting work in realms such as home health and hospice care. 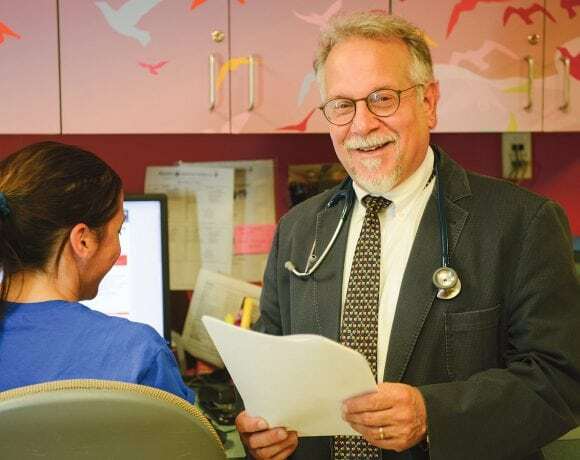 “I felt I wanted to be involved in healthcare, but not the human-service side,” he explained, adding that his doctorate is in organizational behavior and he considered himself proficient at planning and organizational change. His plan was to take those skills and put them to work in consulting to other agencies involved in healthcare. To say that starting and then growing Fazzi Associates into a business that now employs more than 40 people was a learning experience would be an understatement. And it started with the first bill he sent. He was set to incorporate but found out that this cost $1,000, twice what he made for the first job. So he opted for plan B and just put his name on the invoices moving forward. In time, though, and not much of it, ‘Fazzi’ would become more than the name on the bill. 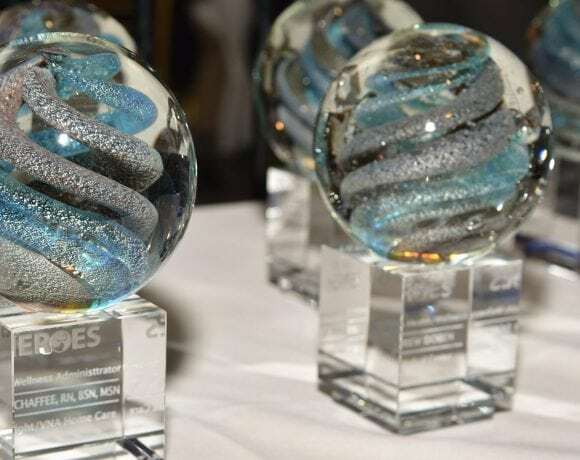 It would become synonymous with excellence and innovation in the home-care and hospice realms as the company developed new products and services to help clients better serve their customers and measure their performance. So much so that, when Fazzi finally decided to incorporate in 1995, and was mulling a name change while doing so, advisors told him the name ‘Fazzi’ had too much name recognition and too much clout for him to consider a change. So he didn’t. Fazzi recalled that, while he started out working for other people, he always considered himself entrepreneurial. With Fazzi Associates, he started out doing planning and training, with most of the early clients involved with home care and hospice. But the scope of services quickly grew, as did the client list. While doing organizational-improvement work, home-care agencies would often ask if they were doing a good job, he recalled, adding that he replied, in general terms, that he wasn’t the one to be answering that question; clients should be. And when he asked those agencies if they had patient-satisfaction surveys, most all of them didn’t. And the ones who did lacked that one that would be considered valid. So Fazzi created one, and before long it was providing them to hundreds of agencies. Then, when the Department of Health and Human Services created the Outcome and Assessment Information Set (OASIS), Fazzi made sure his company became an expert on the subject and began offering OASIS education. In 2009, responding to the industry’s need to optimize operations to focus on patient care, Fazzi introduced outsourced medical coding, and is now the largest coding company serving the home-health and hospice industries. Through its operational consulting division, the company has helped hundreds of agencies by putting in place best practices in structure, clinical and operational practices, and supervisory models. Still another contribution Fazzi has made involves conducting scientific best-practice research and then giving that information away for free to the entire industry. The first such study, titled “Collaborating to Compete: A National Study of Horizontal Networks,” was released in 1996. Others to follow included the National Home Care Re-engineering Study, the National Best Practices Improvement Study, and the National Quality Improvement Hospitalization Reduction Study. While doing that for his industry, Fazzi wanted to do the same for his company, so he put in place a succession that has Tom Ashe, one of five major partners in the company, succeeding him as CEO. That leaves him with a problem of sorts. “I love coming to work every day — I can’t wait to get up and go to work,” he said, adding that, like others facing the transition to retirement, he’s somewhat — OK, maybe a little more than somewhat — apprehensive about what the next phase of his life will be like. He doesn’t know exactly what he’ll be doing, but it’s a pretty safe bet that that he will stay involved within the helping profession and find new ways to put his vast experience, energy, and compassion to work helping others. That’s what he’s been doing for a lifetime, and with very positive results for the community known as Western Mass. And for evidence of that, all he needs to do is look out the window toward the gates of the state hospital that no longer exists.